For those of you who follow the activities of the Maritime Centre you will be aware of the wealth of events that have been going on during the summer. We have had a superb summer (probably the best since we opened in 2011) culminating in the Fringe Maritime Festival to coincide with the Blyth Tall Ships Regatta and the traditional St. Bartholomew’s August Bank Holiday Fayre. This was organised in partnership with a number of other organisations including Newbiggin Traders and Newbiggin Genealogy group. It was so successful that we have decided to have a Maritime Festival every year and the hope is that we can work in partnership with other organisations again. 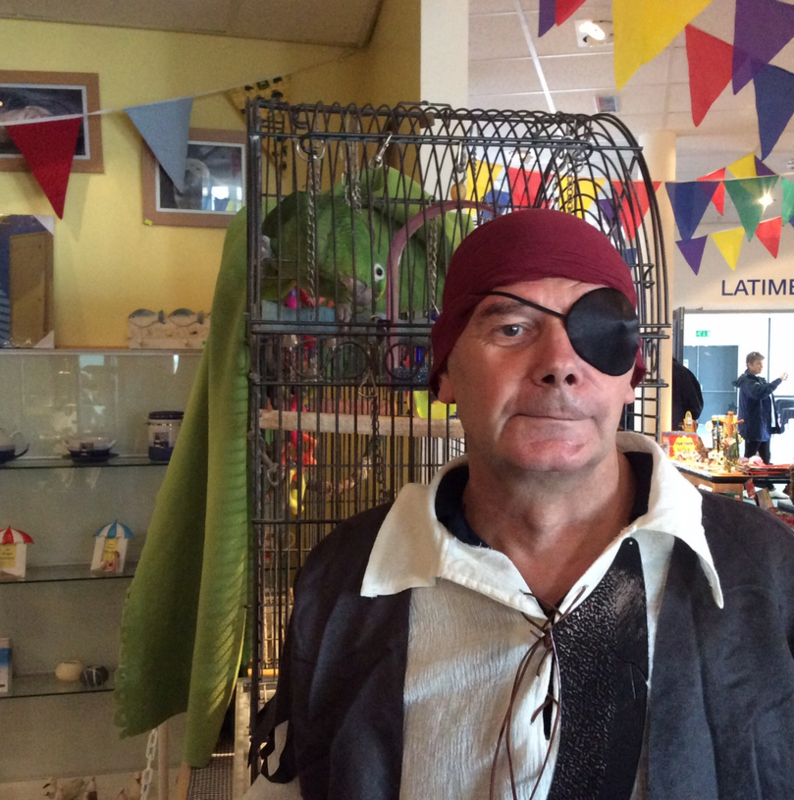 Trevor and Alan, both long term volunteers, were happy to be ‘pirates’ for the duration of the Festival. (Pictures on the News Page). We are fortunate to have such loyal and passionate volunteers who are willing to turn their hands to whatever is required to ensure visitors enjoy their experience. We are always looking for new volunteers! Following the introduction of our Afternoon Teas, they have been so much appreciated that we have a number of repeat bookings. We had the pleasure of providing afternoon teas to a Ladies Group of 70 in August. They have booked again for their October get together. We are pleased to be able to offer Harry an apprenticeship in retail. He has been with us for two days a week work experience for more than a year. Congratulations to him for this achievement and we look forward to him completing his level two. Subject to reasonable weather, KEAP Creative will be having a raku event in November in the courtyard now that refurbishing is complete. Two large paintings of a Northumbrian Castle and St. Bartholomew’s Church by John Eric Rothwell have been installed in the Breakwater Café to enhance the surroundings. The Northumberland County Council planning committee voted unanimously to give us planning permission for the Rocket House and county councillor Dickinson remarked that they looked forward to it being fully restored. Work continues here and progress now depends on the success of the next funding application. There was an Art Installation in the Rocket House during the Maritime Festival weekend and this elicited lots of positive comment. Thoughts are turning to a similar event in the future. While on the subject of art installations, much comment was received concerning KEAP Creative’s “Big Draw” of a tall ship on the beach and thoughts are also considering something similar for the future. The artists who produced the installation in the Rocket House are willing to produce something similar on the beach, perhaps in conjunction with KEAP Creative. Watch this space!